See 3D VT link. Incredible direct harbor front views that will make you say GÇ£WOWGÇ¥! Situated in the heart of Shelter Cove Harbour is this beautiful 2 bedroom/2.5 bath townhome surrounded by fabulous waterfront restaurants, coffee shops, clothiers, fishing & boating excursions, and more. Featuring a super spacious floorplan and walls of glass. The oversized balcony offers you never-ending views, spectacular sunsets, and summertime fireworks. Enjoy the on-site pool & private parking, 3 miles of beach, and all the rest of Palmetto DunesGÇÖ world-class amenities. A Shelter Cove best buy and must-see villa! ATTENTION HOME SITE SHOPPERS! 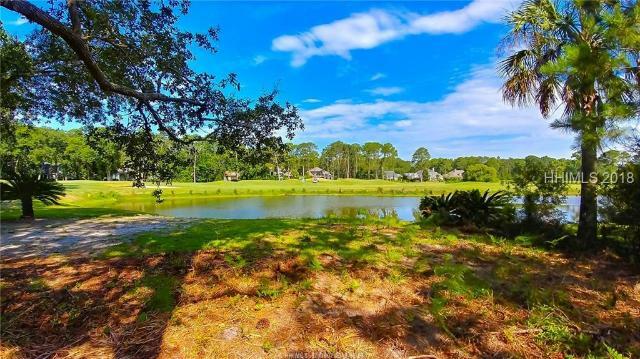 Did you know Palmetto Hall is golf cart friendly and offers nature preserves, fishing ponds, 2 signature golf courses, 16,000 s/f clubhouse, Jr. Olympic pool, tennis courts, ball field & dog parkGÇªand itGÇÖs quickly approaching build out? Only 74 home sites remain with 10 new homes under construction. Current prices & selections are great but changing daily. Secure your future home site today while supply and pricing are on your side. Perhaps 1 Club Manor is the one for you! Offering beautiful lagoon & golf views and is just steps from the clubhouse and amenities. ATTENTION HOME SITE SHOPPERS! Did you know Palmetto Hall is golf cart friendly, offers nature preserves, fishing ponds, 2 signature golf courses, 16,000 s/f clubhouse, Jr. Olympic pool, tennis , ball field & dog park. It's quickly approaching build out? Only 70 vacant lots remain with 11 new homes under construction. Current prices & selections are great but changing daily. Secure your future home site today while supply and pricing are on your side. Perhaps 227 Fort Howell is the one for you! Beautifully treed and offering great views of the 10th green of Arthur Hills and nature preserve with no homes ever across from you. Priced to sell.